The Tri-City ValleyCats shut out the Hudson Valley Renegades 3-0 in Game One of the New York-Penn League Championship Series at "The Joe" on Saturday night to put themselves within one win of their third championship in franchise history. 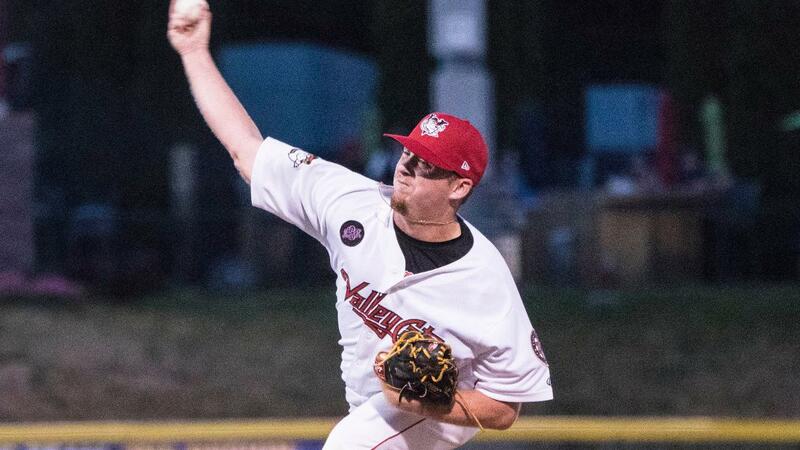 The ValleyCats' pitching staff tied a season-high with 17 strikeouts as Joey Gonzalez earned the first win of his professional career with 1.2 scoreless innings of work. Shawn Dubin started the game and went two innings, striking out a career-high-tying five batters, while Jose Alberto Rivera replaced him and struck out six batters in 2.1 innings. R.J. Freure came on in the seventh inning to earn a nine-out save where he struck out four batters. Offensively, Carlos Machado delivered the keynote to the game, hitting a home run on the very first pitch thrown by Hudson Valley's starter Zack Trageton. Ramiro Rodriguez tacked on an RBI-single in the second inning, while Machado scored the final run on a wild pitch in the seventh. Now leading the best of three series 1-0, the ValleyCats will go into Sunday's 4:05 game with a chance to win their third ever New York-Penn League Championship. Should Hudson Valley win, the series would be decided in a decisve Game Three on Monday with first pitch at 6:35 p.m.
Tri-City's coverage of Game Two of the Championship Game Two will begin at approximately 3:50 p.m. as Steven Cusumano calls the action on the Tri-City ValleyCats Radio Network.